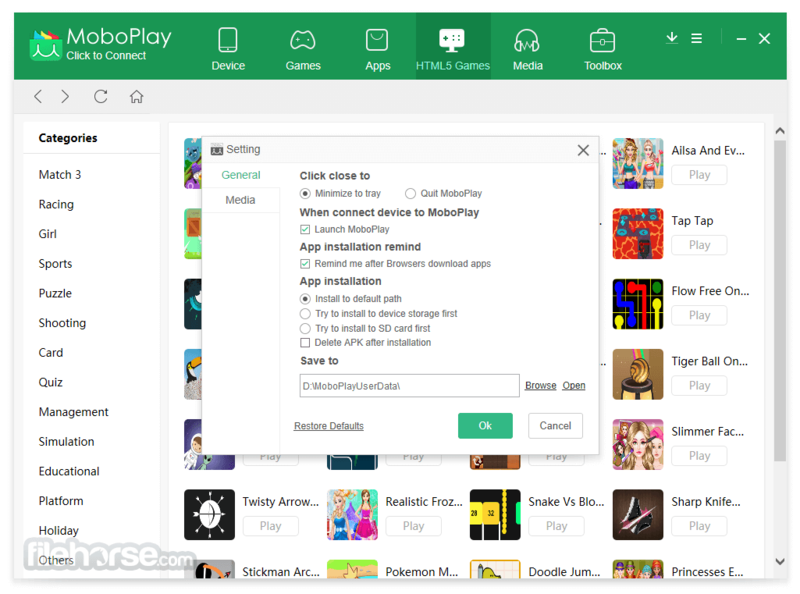 With MoboPlay you can manage your Android & iOS devices from computer for FREE! Discover and download your favorite apps. Lots of free apps and games to download! You don't need to sign in or register. The best PC Suite for both Android and iOS, to easily browse and manage any files and data on your mobile device from computer. Transfer and sync any apps, files, photos, music and videos between computer and mobile device, including even iPhone and iPad. One-click backup and restore contacts, SMS, call logs, images, app data and music from your phone. Never lose important data again. Simplify your mobile life with just one click! 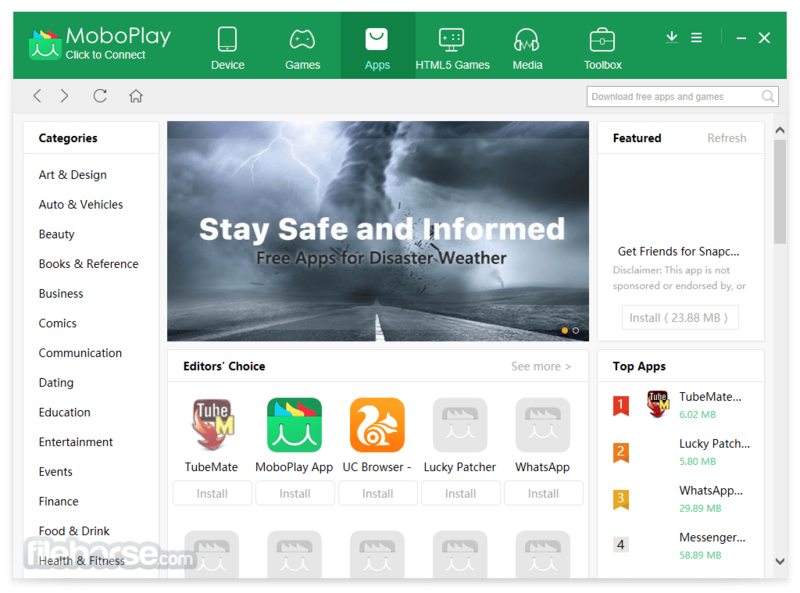 MoboPlay is an Android app market and a PC Suite for Android and iOS devices, offering lots of free Android apps and games to download, as well as full smartphone management features like File Manager, Data Backup and Restore, Synchronization and many more. 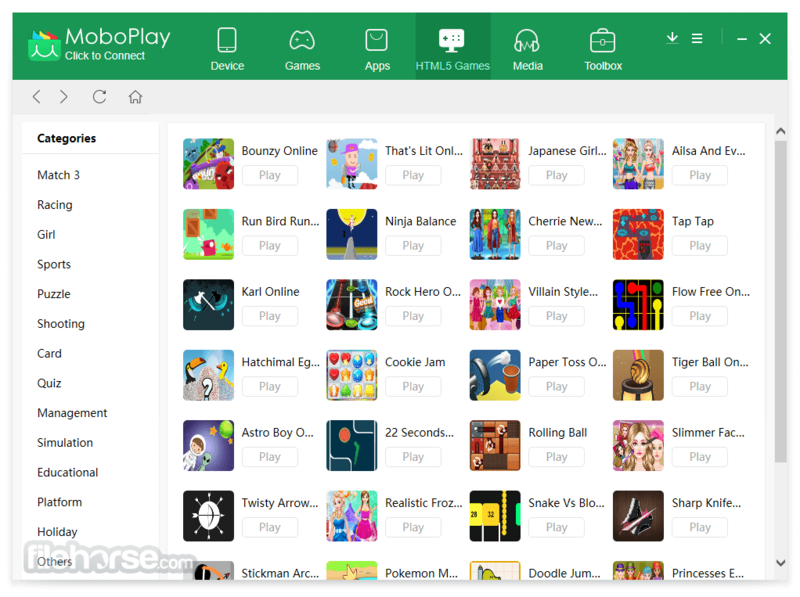 Download MoboPlay for Windows PC Now! 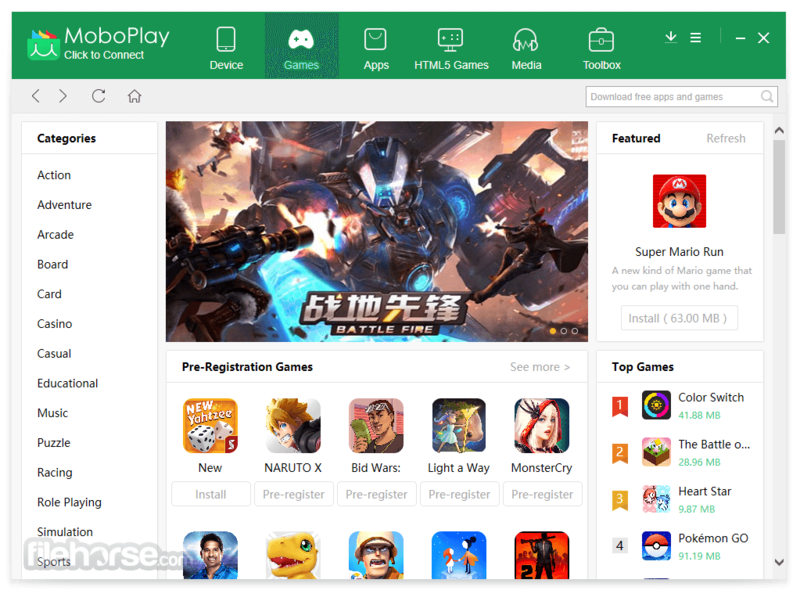 With MoboPlay, you can (a) easily search and download the latest and hottest apps and games, such as Pokemon Go and Clash Royale, for free and without register needed; (b) manage, transfer, and sync any apps, files, photos, music and videos between computer and mobile devices, including even iPhone and iPad; and (c) backup your important data such as contacts, sms, call logs, images, app data and music from your phone, and restore your backup with just one click. 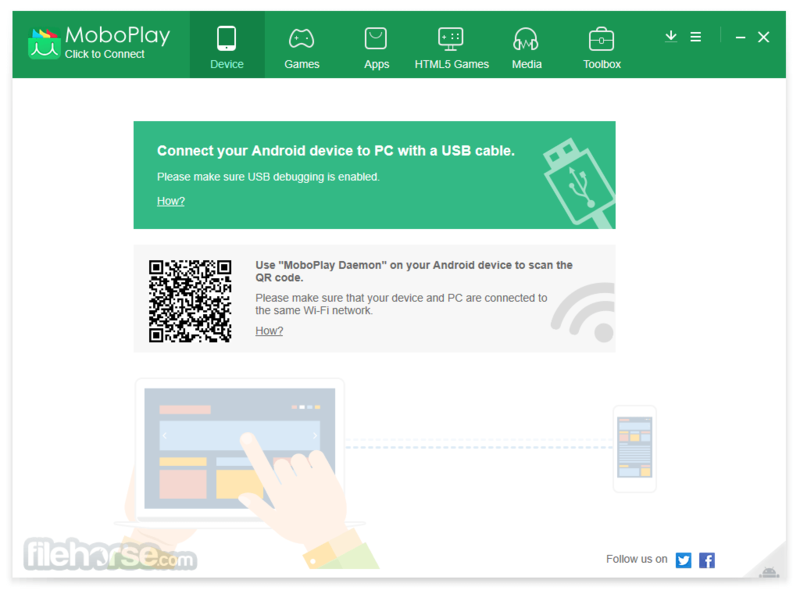 Additional features: (a) You can connect your phone or tablet to the computer through either USB cable or Wi-Fi network. (b) File Manager: View and organize the files on mobile phone or tablet from PC. (c) Full Screen: Display the mobile device screen on computer in real time. (d) Space Cleaner (for Android): Clean up junk files and useless cache to save device storage. Note: Requires iOS or Android device.